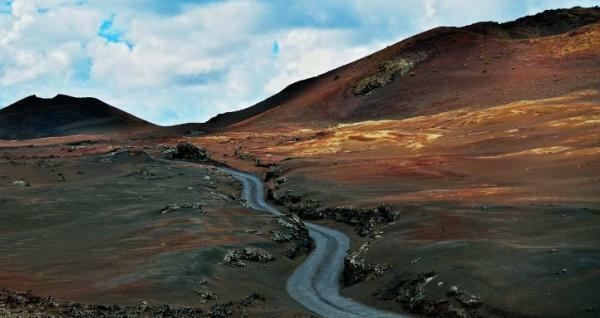 Lanzarote is an inspiring place for any traveler. 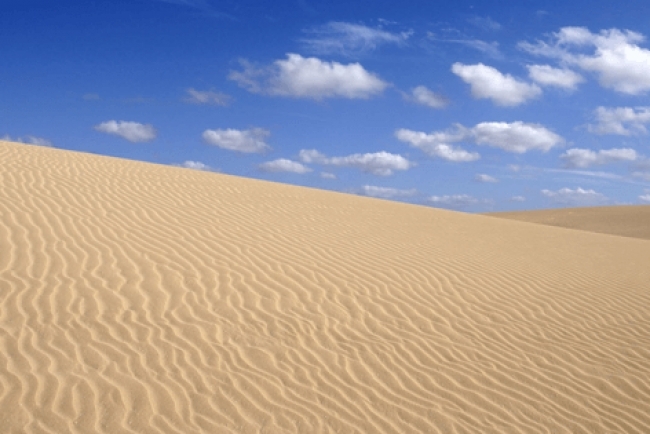 Discover all the fantastic things to do in Lanzarote, places to go and much much more. Since Lanzarote is one of the beautiful islands of the Canary Islands, it has always been an attractive holiday destination for many. Its unique volcanic landscape, rich flora and fauna, cultural importance, UNESCO Biosphere Reserve, rich marine life have created a different yet a lasting impression on everyone who have visited Lanzarote or planning to holiday in Lanzarote. Lanzarote is a remarkable place with lots of attractions on the land which let you enjoy the volcanic terrain, volcanic caves, thriving fishing villages, wine growing region, beautiful scenic landscape, busy local markets and how art by renowned artist César Manrique has transformed boring molten rock formations and caves into an art and cultural hub, truly fascinating. Highlights of North and South Lanzarote in the Grand Tour is one of the best trips you can take in Lanzarote, especially who are in Lanzarote for a short holiday or just simply want to see the best of Lanzarote in least possible time. The tour takes you to the Salt Pans of Janubio, Los Hervidores, El Golfo, Ride the camels at the Timanfaya National Park, visit the quaint village of Macher Blanca, go to the wine region of La Geria, view thousands of palm trees in the village of Haria and the best is left for the last, Jameos del Agua, home to the white albino crabs and incredible work by César Manrique in the volcanic caves. Savour the Lanzarote Highlights in a short trip of the island covering the main attractions like the coastal road overlooking the volcanic landscape and the salt pans of Janubio, the Timanfaya fire mountains and National Park, the volcanic caves of Cueva de Los Verdes and Jameos del Agua. Explore South Lanzarote in the South Tour, from looking from the coastal road at the salt pans of Janubio, the amazing rock formations of Los Hervidores, the emerald green lagoon of El Golfo, take a ride up the volcano on a camel at the Timanfaya National park in time for a hearty lunch at the quaint village of Macher Blanca and lastly you can sample the best wines of Lanzarote at one of the bodegas in the wine region of La Geria. The best of South Lanzarote can be enjoyed in the Short South Tour, also a hit with families with kids, since it is short and fun, which begins along the coast from where you can view the Salt Pans of Janubio leading to the Timanfaya National Park where you can ride a camel up a volcano and lastly a visit at the emerald green lagoon of El Golfo. Visit North Lanzarote’s incredible attractions in the North Tour, from the Monumento Al Campesino dedicated to the farmers, then to LagOmar where famous actor Omar Sharif had won and lost the beautiful house in a card game. Venture into the old capital of Teguise and Los Valles, then to the valley of thousand palm trees in the Haria village, to the viewpoint of Mirador del Rio for stunning views of the islands of La Graciosa and ending the tour at the volcanic cave of Jameos del Agua, an incredible mix of art and nature by artist César Manrique. Grab the best bargains at the famous Sunday Teguise Market, taste some really tasty tapas and also a good place to buy aloe vera products and local wines. There is also a pick up and drop to Teguise Market from Playa Blanca for good day out shopping. Shop for souvenirs at the modest Playa Blanca Market at the Marina Rubicon. Trace the artistic steps of César Manrique by enjoying all of his best works from Monumento al Campesino, the valley of thousand palm trees and the houses lines up to shape like a star in the Haria village, the viewpoint of Mirador del Rio overlooking the beautiful island of La Graciosa and the vast sea, the option to visit either of the volcanic caves of Cueva de los Verdes or Jameos del Agua, then the Cactus Garden with thousands of different variety of cactus being grown and lastly the beautiful house of the artist himself, the César Manrique Foundation. 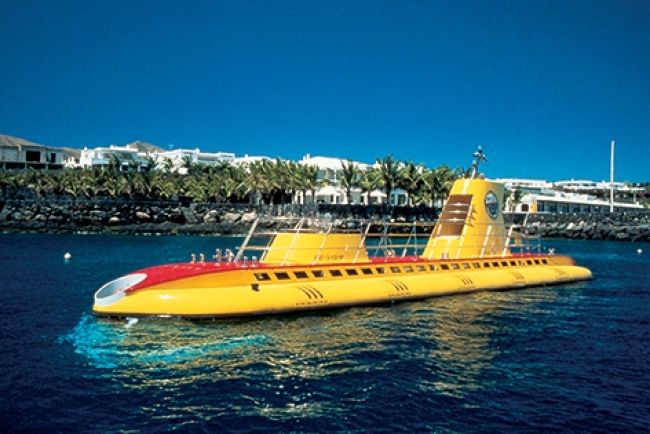 Exploring Lanzarote through the sea is nothing you would have done anywhere in the world, from ferry and boat trips to Fuerteventura and La Graciosa, to going under the sea in a submarine and many more things to do. Embark on an adventure along the Atlantic coast of Lanzarote, in the Atlantic Adventure starting on a three tier glass bottomed boat, we dock near Papagayo beach where you can then go on a fast and adrenaline packed banana boat ride. You can even go have a swim or snorkel or kayak or have fun on inflatable mats. Unravel the untouched island of La Graciosa on a Catamaran and discover La Graciosa’s beautiful and clean beaches, one of the best things to do as a couple. 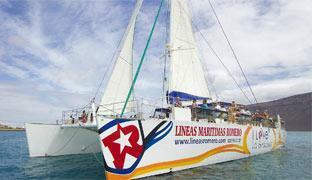 Enjoy the Natural park, caribbean style beaches, sand dunes of Fuerteventura and more on a glass bottomed Catamaran. Hop on the Express Ferry to Fuerteventura and enjoy the crossing on a three tier glass bottom boat and enjoy the island at your own pace. Hop on the Express Ferry to La Graciosa and discover the unspoilt island on your own. Go under the Atlantic on a Submarine Safari and be amazed to see the teeming marine life 30m below sea, one of the best things to do with kids. Have a blast and a rocking time dancing over the sea, every Wednesday at Lanzarote’s only Splash Boat Party on a catamaran with the islands No1 DJ´s banging out the latest tunes. 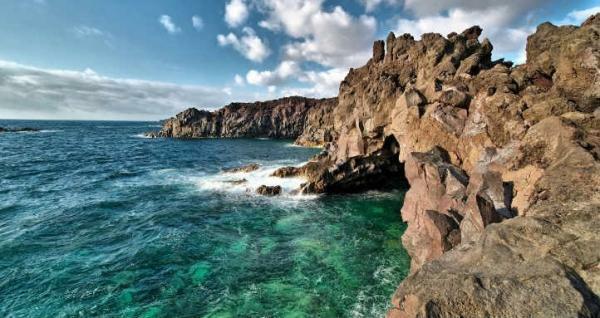 Enjoy the coast of Lanzarote on the Wave Rider Coastal Trip, passing Puerto Calero, Playa Quemada and to the coast and white sandy beaches of Papagayo. For an adrenaline kick on the Atlantic ocean, you must go on the Wave Rider Ocean Blast, a 20 minute fast trip up the east coast of Lanzarote, gathering pace along the entire coastline of Puerto Del Carmen seeing at amazing speeds, performing sharp turns, figure of eights and doughnuts. Fishing in Lanzarote is another things to do in Lanzarote you can do with friends and family. You can enjoy Day Fishing in Lanzarote and Night Fishing in Lanzarote and enjoy both equally, trawl for big game fish such as Dorado, Tuna, Blue Marlin and Wahoo. Manta rays and hammer sharks are possible catches in the night. Going on day excursions can be a good thing to do in Lanzarote since it is packed with fun for the whole family. 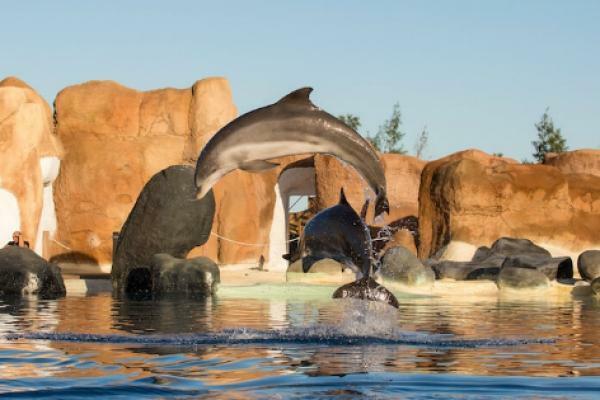 Day trip to the Rancho Texas Animal Park will not only allow you to enjoy watching the animals in the Animal Park, but you can also have a whale of a time at it’s splash zone. 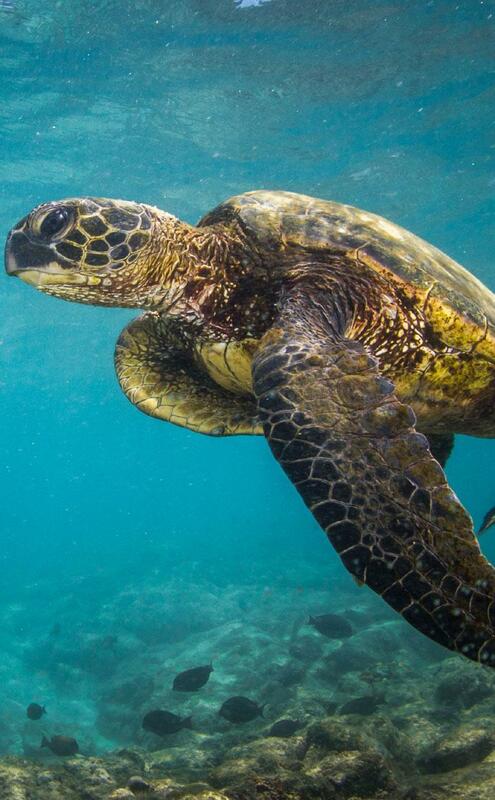 You can also Swim with the Sea Lions, which is their star feature. You can also watch the live Bird of Prey Show, the Parrot show and the Cheeky Sea Lion Show. Fun all the way for everyone. 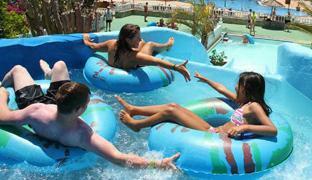 Aqua Parks in Lanzarote are another popular and fun activities you can do with family. The Costa Teguise Aqua Park is well established in Lanzarote while the Aqualava Water Park is situated in the Lanzasur Club Hotel, with huge slides and chill out zones. Whole day of fun and more fun for the whole family. Getting to know the real Lanzarote is through a fabulous yet unique Food Tour, where you enjoy the most delicious food of the island in Puerto del Carmen, from the new to the old town, learn about the culture, food, traditions and the families and people behind it all. Lanzarote’s Nightlife has more to it than the karaoke bars, nightclubs and discos if you know where you could have the most fun and laughter. 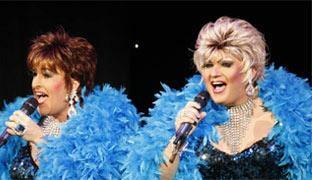 Have a blast of laughter with drag shows, comedy all the way at the Music Hall Tavern, with lots of humour and fun. A great and only night out for families with kids is to experience the Wild wild west at the Rancho Texas Country Night, pure entertainment from start to finish. Dive under the Atlantic ocean and be amazed to see Europe’s first Underwater Museum, Museo Atlantico in Lanzarote. There are dives for Underwater Museum - Qualified Divers and Underwater Museum - Beginners, where you dive 14m below the sea to see how the corals cling to the sculptures and help growth of marine life in the Atlantic. Lanzarote is the best places in Europe to do try or learn all kinds of watersports, especially Lanzarote has the best waters like Hawaii, best facilities and schools where you can learn Surfing, Snorkeling and Scuba Diving for beginners and Scuba Diving for experienced divers. Going Karting in Lanzarote is another fun stuff you could go with kids in Lanzarote, where you race like the professionals on a circuit approved by FIA and is the Official World Championship track. 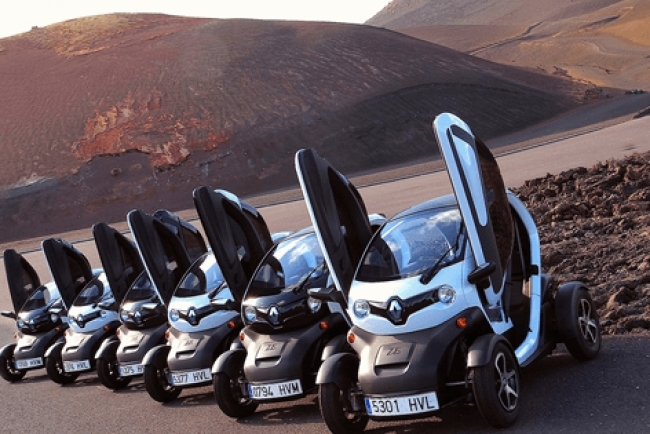 There are more fun ways to see Lanzarote’s volcanic terrain in a more personalised tour of Lanzarote, we are not talking about going on a tour in an ordinary car, but on the Twizy Timanfaya Electric Car Tour, the 2 hrs. Buggy Adventure Ride and the 3 hrs. Buggy Adventure Ride to discover Lanzarote through back roads. 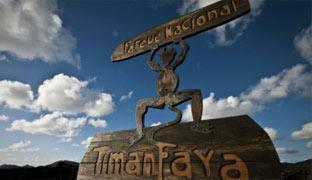 Did you know, you can go on some Free Excursions in Lanzarote? The Traditional South Market Days tour, which takes you from San Bartolomé to the Monumento del Campesino, then through the Wine Region of Lanzarote passing many bodegas, a visit to the Village of Femes, where you can sample cheeses at the local Queseria and later head to the the Millionaires Marinas Markets, where you are free to bargain and shop for souvenirs and gifts. The Hidden Gems Tour is unique taking you to Northern Teguise for a coffee stop, then to Los Nieves, one of the highest points to view the entire island, from the Timanfaya National Park and as far as Archipielago Chinijo. Stop at Punta Mujeres to visit the Aloe Vera House Museum and Bodega. Try Aloe Vera Liquor, local wines and sauces, learn all about Aloe and its benefits, see products made from local salt and cochineal. A truly memorable and satisfying tour. Flexible Date Guarantee - Booking with Lanzarote Excursions gives you the flexibility to change the date of your excursions at no extra cost, just contact us by email at info@mkt.ventures on the contact form and we are happy to help! 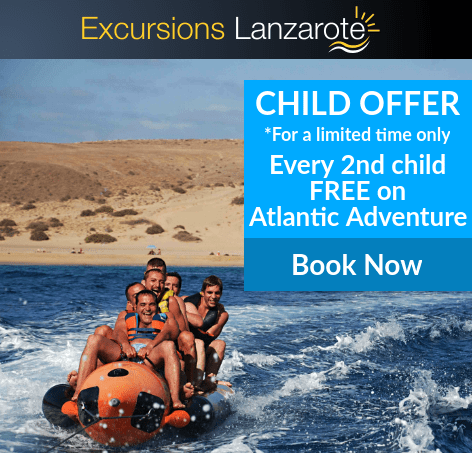 Fast Easy Booking - Booking excursions with us is as easy as 1 2 3, simply select the excursion you want, then add the number of people and date, your ready to experience Lanzarote at its best.